Each year in February, over three hundred of the very best college football players will be invited to participate in the NFL Scouting Combine in Indianapolis, Indiana. Top Executives, Coaching Staffs, Player Personnel Departments and Medical Personnel from all 32 NFL teams will be on hand to evaluate the nation’s top college football players eligible for the upcoming NFL Draft. This intense, four day job interview is an exciting time for the athletes and vital step in achieving their dreams of playing in the NFL. The NFL Scouting Combine is not open to the public but Indianapolis will be alive with everyone in town for this big event. It is something you will want to be a part of. Join us for an exciting weekend! Learn from the best how to identify Concussion Symptoms and Post Concussion Syndrome. Dr. Cantu will discuss Epidemiology of Concussion and Chronic Traumatic Encephalopathy. He will explain the complications of Mismanagement of Concussion and how to diagnose and manage a Concussion. Dr. Cantu will share who is doing what in regards to Concussion Management and the Guidelines for Management of Concussion. Also learn the criteria for resuming activity. Dr. Cantu’s knowledge on Concussion Management will take you to a new level. Come learn from the best in his field. You won’t be disappointed!Currently Dr. Cantu’s professional responsibilities include those of Clinical Professor Department of Neurosurgery and Co-Director Center for the Study of Traumatic Encephalopathy, Boston University School of Medicine, Boston, MA; Senior Advisor to the NFL Head, Neck and Spine Committee; second opinion expert on head and spine conditions for the NLFPA; member of the Mackey/White TBI Committee for the NFLPA; Founding member and Chairman Medical Advisory Board Sports Legacy Institute, Waltham, MA; Adjunct Professor Exercise and Sport Science and Medical Director National Center for Catastrophic Sports Injury Research, University of North Carolina, Chapel Hill, an ongoing registry instituted in 1982 for data collection and analysis of spine and head injuries, Chapel Hill, NC; Co-Director, Neurologic Sports Injury Center, Brigham and Women’s Hospital, Boston; Chief of Neurosurgery Service, Chairman Department of Surgery, and Director of Sports Medicine at Emerson Hospital in Concord, Massachusetts. He also serves on the Board of Trustees as Vice President of NOCSAE (National Operating Committee for Standards on Athletic Equipment). Neurosurgical Consultant Boston Eagles football team, and Neurosurgical Consultant Boston Cannons professional soccer team. 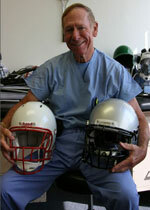 Dr. Cantu also consults with numerous NFL, NHL and NBA teams. He has authored over 340 scientific publications, including 23 books on neurology and sports medicine, in addition to numerous book chapters, peer-reviewed papers, abstracts and free communications, and educational videos. He has served as associate editor of Medicine and Science in Sports and Exercise and Exercise and Sports Science Review, and on the editorial board of The Physician and Sports Medicine, Clinical Journal of Sports Medicine, and Journal of Athletic Training. In 2003 Dr. Cantu became the section head for the Sports Medicine Section of Neurosurgery. Attendees will be enlightened on the need for a team approach in Collegiate Football Sports Medicine, and how that approach has been successfully implemented at BYU. Come listen to Kevin Morris explain how the team work together between ATC’s, DC’s, MD’s, etc., keep the athlete on the field.Kevin Morris has been a Certified Athletic Trainer for the past 20 years, and currently serves as the Head Football Athletic Trainer for Brigham Young University. He was named to that position in January 2004. He has worked at BYU for 12 years. He also coordinates EMT/Paramedic and athletic training staff training. Morris is a professional rescuer CPR Instructor and, an Orthotic specialist for athletes and serves as a host for the athletic department drug testing. He has worked in High school, Clinic, and Collegiate settings. He worked as a volunteer Athletic Trainer for the 2002 Winter Olympics, in the Ice Hockey venue. 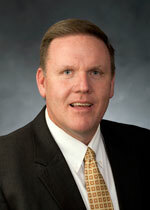 He has served, and currently serves on committees for the National Athletic Trainers Association. You will learn the most common extremity subluxation patterns along with the corrections. Dr. McClure will also include the latest research in the advanced treatment of extremity injuries. These are amazing techniques that will challenge you both mentally and physically. The techniques learned will be applicable Monday morning in your office.Dr. 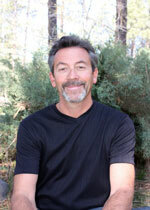 Dan McClure is a nationally and internationally renowned expert and lecturer on extremity injuries and manipulation. His extremity experience ranges over 25 years, including work with elite and Olympic-level athletes as well as “weekend warriors.” His state of the art techniques are constantly being refined, so you will learn time proven techniques as well as cutting edge techniques in the process of development. This level of commitment and experience, along with his passion for excellence in applying chiropractic extremity techniques is what makes him the best in his field. Learn the fundamentals of the Kinesio Taping® Method and expand your clinical treatment protocols with this revolutionary rehabilitation technique. This class will provide you with a basic introduction to the protocols and some hands on experience, allowing you the opportunity to see how valuable this technique can be in your practice.Dr. Lease is a renowned instructor of the Kinesio Taping Method®, teaching Basic Introduction and Certified Kinesio Taping Practitioner workshops throughout the United States. Dr. Lease pioneered InMotion Chiropractic “The Mobile Clinic!” in the Greater Bay Area to serve the growing needs of “on-site” services in the workplace. He is a Certified Fitness Trainer, a Credentialed Practitioner of Active Release Techniques, and has served as an IRONDOC, bringing chiropractic care to athletes from around the world at the IRONMAN world championships in Kona, Hawaii. Dolphins exercised LT Laremy Tunsil's fifth-year team option for 2020.